*Source: McDermott, R.J., & Glover, E.D. (2010). 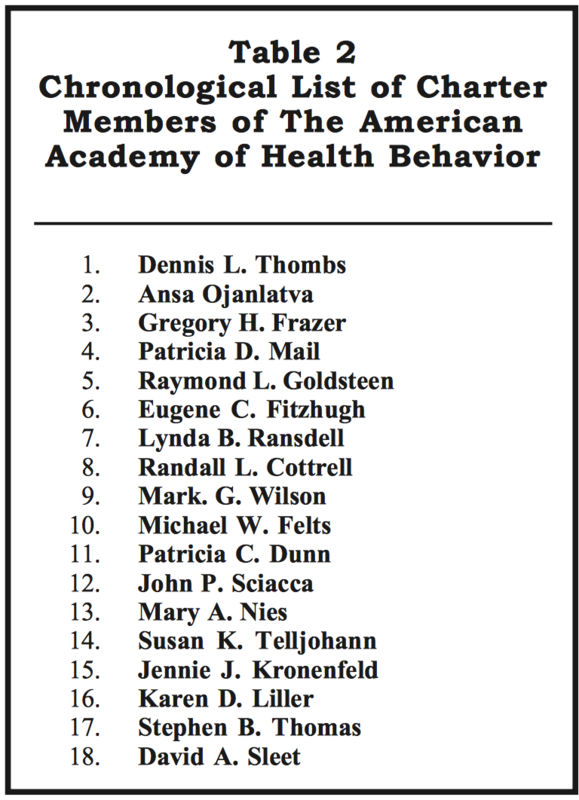 Formation and Early History of the American Academy of Health Behavior. American Journal of Health Behavior, 34(5), 563-572.